On Tuesday last I received delivery of the 2nd Edition of Matthew Russell's book Mining the Social Web. 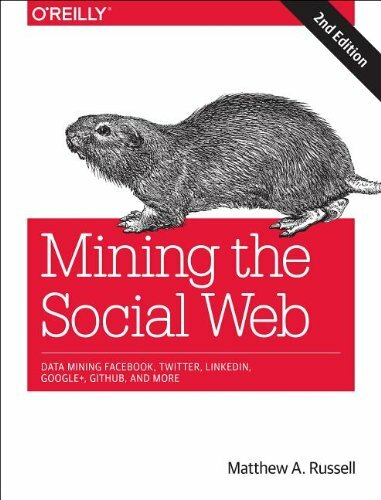 This is an exciting book that (hopefully) will get me, and many others, up to speed mining the rich sources of data in Twitter, Facebook, Linkedin, and Google+. It does not cover YouTube as I would wish, but no doubt that will come in a future edition, and anyway I'll have to learn to walk before I can run. However, in order to follow the examples and code that the book uses, Russell advises that a setup involving VirtualBox and Vagrant, plus using GitHub be used. There are step-by-step instructions at GitHub to get this working. So I set about getting this to work at the office and immediately ran into firewall issues. I had to switch from the wired College network to the wireless Eduroam network just to download the necessary packages. I tried it at home yesterday, and again at work today. I got a little step further each time, but eventually this evening I finally got everything to work on my home PC - two days after starting. But that is not the coolest thing about this experience! I tweeted about the frustration I encountered, mentioning Matthew Russell's Twitter handle (@SocialWebMining) in my tweet. Well - Matthew picked up this tweet and offered to help via GitHub. We spent a couple of hours exchanging issues and he was a great help in getting me further along the way to getting the setup to work. 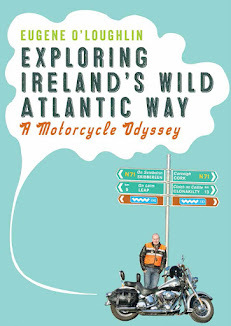 How cool is it that the author of a book helps out somebody thousands of miles away? This is the web at its collaborative best, doing something that would have been almost impossible just a few years ago. Thank you Matthew for your help. Now I will learn how to mine Twitter first and will no doubt report here some of my findings. Eugene - I'm super excited about your work in social media, and I want to support you and your college in any way that I can. Let's stay in touch! Matthew - many thanks for your support!